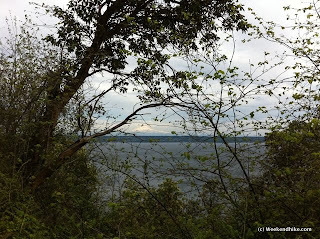 An easy hike on Vashon/Maury Island with great views on a clear day. The former Gravel Pit area now allows improved access to a rocky beach with views of the Cascade Mountains and Mount Rainier. 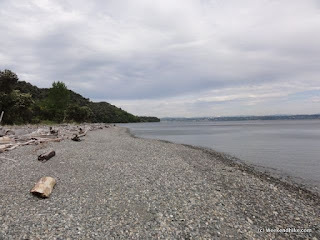 The hike is mostly on a unremarkable gravel access road which has a 500 foot elevation drop to the beach, not the best for the return route, but the views and beach access are well worth it. The roads on Vashon can be a bit confusing, use this Island Map to navigate to the main parks and natural areas. The trails in this park are unmarked (but short), this trail map is helpful if you want explore beyond the gravel access road. 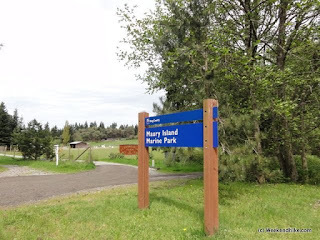 The hike starts from the Maury Island Regional Marine Park trailhead parking lot. 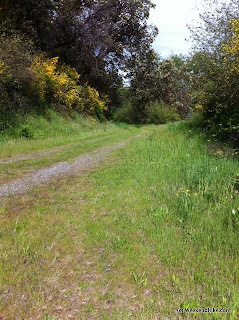 The hike starts down a gravel access road (which is gated closed). 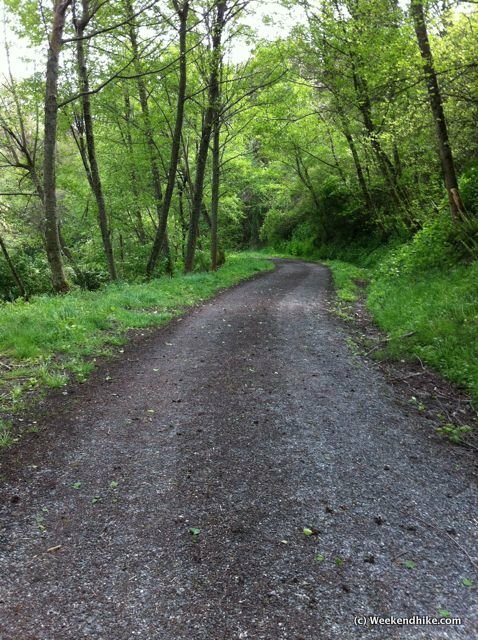 The hike continues on the gravel road for almost a mile downhill. The elevation drop is about 500 feet, which gives you the sinking feeling you will need to climb back up this hill upon the return. 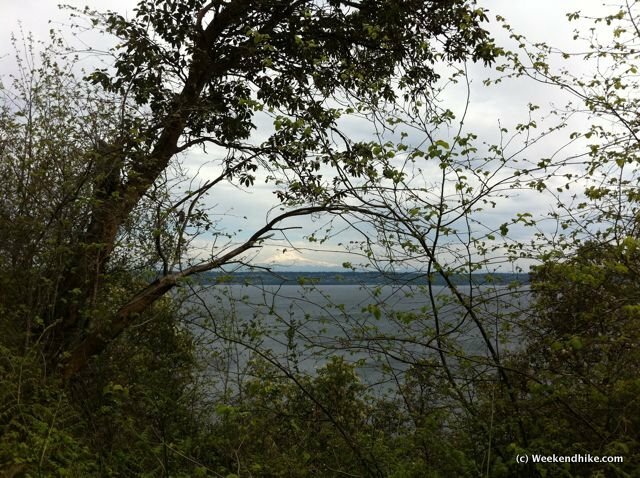 If the 500 foot drop is too daunting, you can visit a great viewpoint past Swallow's Nest off SW 248th Street. 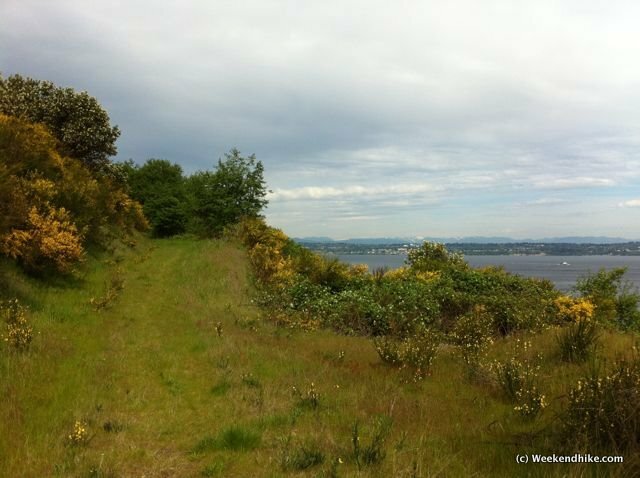 Along the way, there are some peek-a-book views looking toward Des Moines and Redondo across the sound. Mount Rainier can also be seen very well on clear days. 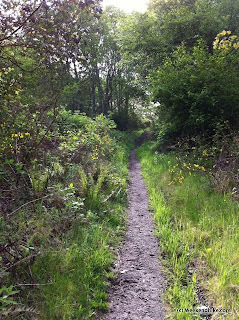 As you continue down, ignore the less traveled unmarked path to the right, stay on the main gravel path leading downhill. After the downhill, you will reach a clearing with some restoration work done by Earthshare Washington for the past couple of years. This area served as a Gravel Pit for many years, so the area is fairly rocky, but mostly covered with cobblestones and light gravel. Following the main gravel road (slowly being taken over by weeds) to one of the trails accessing the beach. The beach is full of cobble stone-sized rocks and driftwood. The beach is very walkable - you can walk from here up to Point Robinson Lighthouse. Another hike option is to start from the lighthouse, as mentioned in this book on page 190. For this hike, find the small unmarked path leading uphill (this is not the gravel road which you decended on to get to the beach). Continue on this very narrow path uphill. At the top of the first ridge, turn right to the East on a wider old access road. Take in the views here on the bluff, on clear days the views of the Cascades and Mt Rainier can be grand. 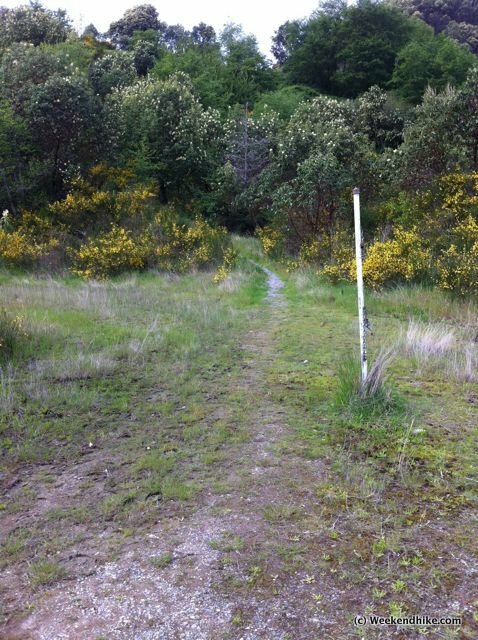 This access road will reach another unmarked access road, bear right on to this road - which will lead back to the main gravel road going uphill back to the parking lot and trailhead. 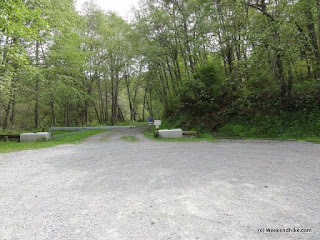 Follow the main gravel road uphill until you reach the parking lot. Less experienced hikers will need to take breaks as you regain the 500 foot in elevation back uphill. Getting There - From Seattle take the West Seattle Fauntleroy–Vashon ferry. On Maury Island, head south on Dockton Road SW, east on SW Point Robinson Road, right on 59th Avenue SW, and left on SW 244th Street. 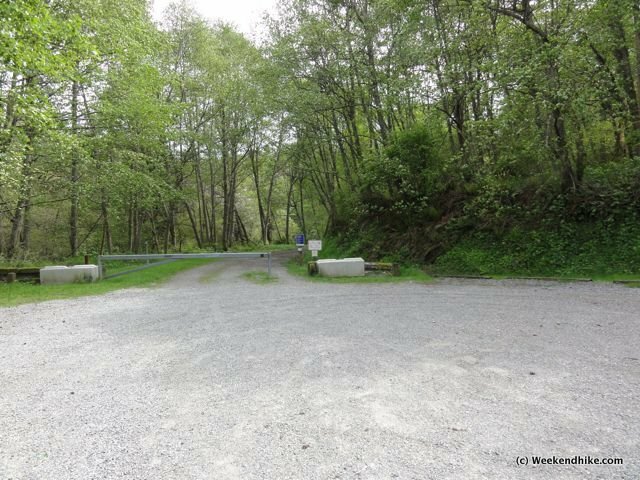 The parking lot and trail access is near the end of SW 244th Street. 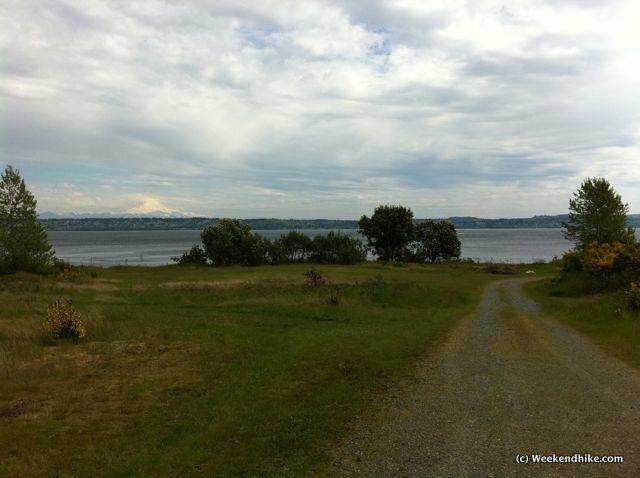 Good Map of Vashon Island parks and natural areas is here.